The jazz saxophone activity begins in 1990. The activity arrives at the whole country based on Kansai. The tone of the saxophone makes the person who listens imagine a sweet picture like showing the apology rust geniality of the sumi-e painting and doesn't separate the mind gripping it. 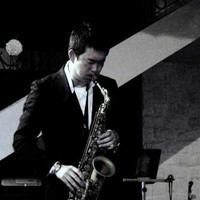 It is an original saxophone player also in Europe that has been evaluated. The offer of music extends to many fields.